A great seasoning for chicken, eggs, seafood, vegetables, burgers, salads, pizza and pasta. 2.5 oz glass jar with shaker (1/2 cup of blend). 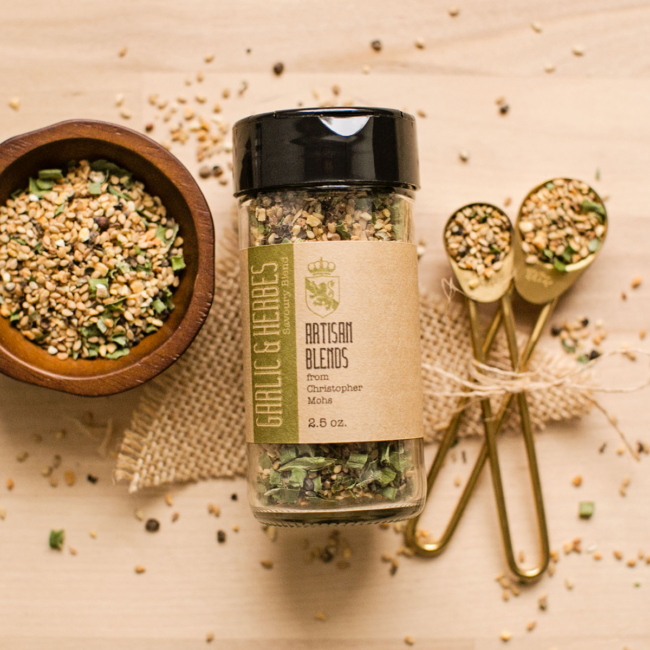 Garlic & Herbes is hand blended from sesame seeds, black pepper, garlic flakes, chives and lemon peel. NOTE: These products are homemade and not subject to state inspection. 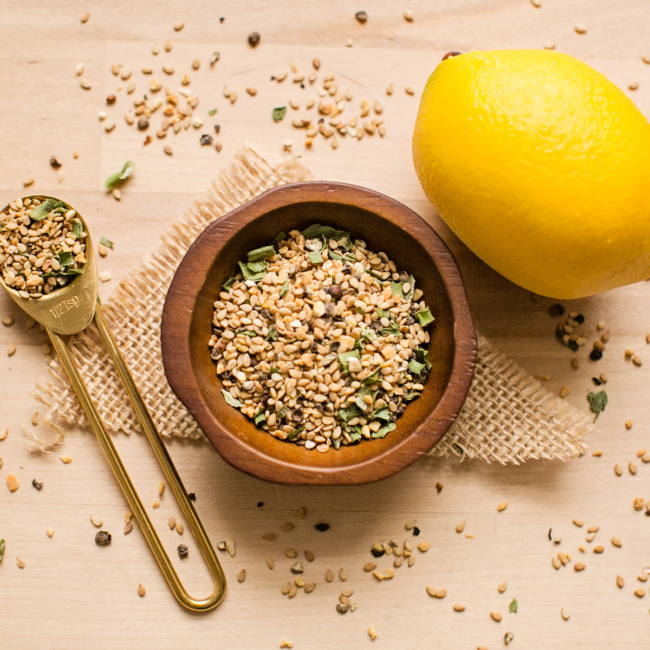 The ultimate Italian spice blend. Just add to olive oil and balsamic vinegar for a classic dipping sauce for breads. Inspired by the hills of Tuscany, add to any dish for a classic Italian taste with just a touch of heat. 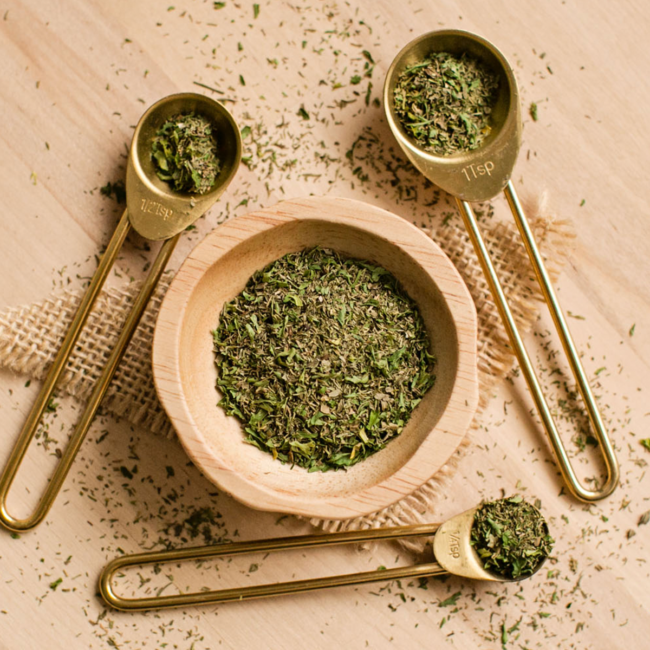 2.3 oz glass jar with shaker (1/2 cup of blend). 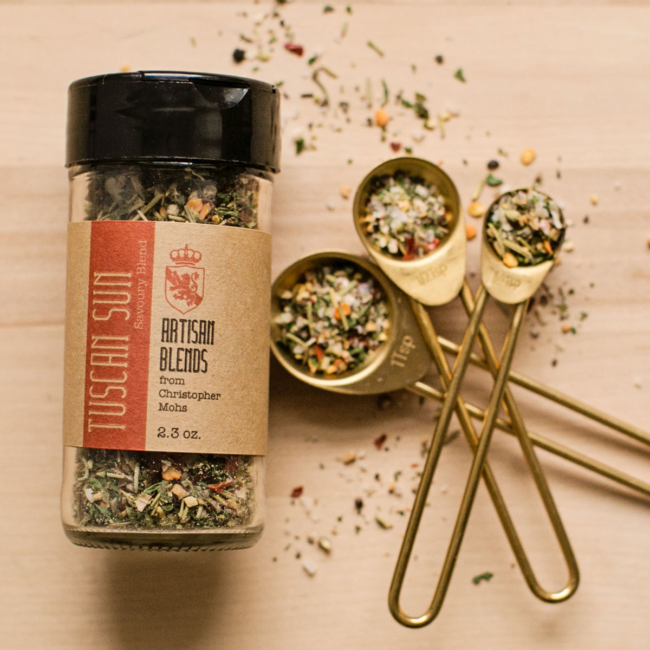 Tuscan Sun is hand blended from garlic, Kosher salt, Mediterranean oregano, basil, crushed red pepper, black pepper, rosemary, onion and parsley. NOTE: These products are homemade and not subject to state inspection. 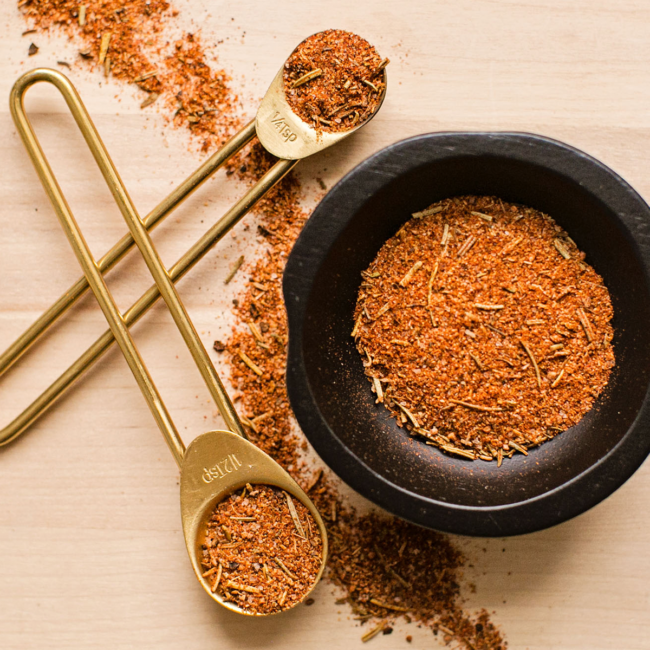 Inspired by the fields of Scandinavia, this blend is the perfect seasoning for seafood. Salmon, shrimp, cod or the latest catch from the lake, Nordic Fields will bring a fresh touch of flavor to your favorite dish. Also good as a salad dressing seasoning. 0.8 oz glass jar with shaker (1/2 cup of blend). 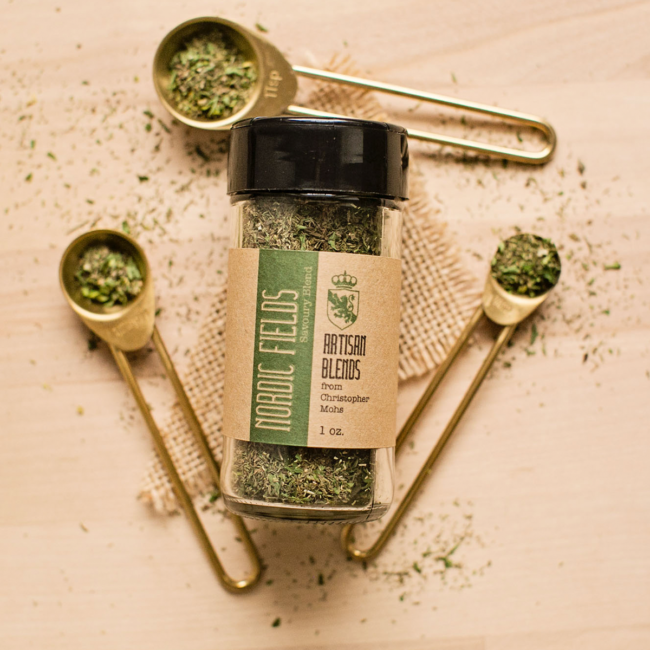 Nordic Fields is hand-blended from Dill Weed, Parsley and Spearmint. NOTE: These products are homemade and not subject to state inspection. Inspired by his upbringing in northern Minnesota, The Woods is a woodsy, smokey and delicately spicy blend that is perfect for just about anything. Sprinkle on eggs at breakfast, or season your favourite meats with this versatile savoury blend. 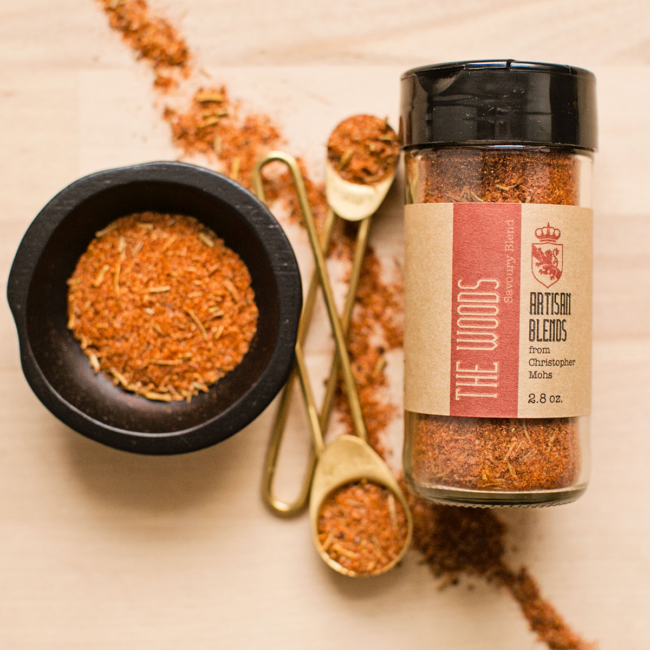 2.4 oz glass jar with shaker (1/2 cup of blend) The Woods is hand-blended from Sicilian Sea Salt, Smoked Hot Paprika, Table Ground Black Pepper, Dried Whole Thyme Leaf, Rosemary, Ground Chipotle Pepper and Granulated Garlic Powder. NOTE: These products are homemade and not subject to state inspection. 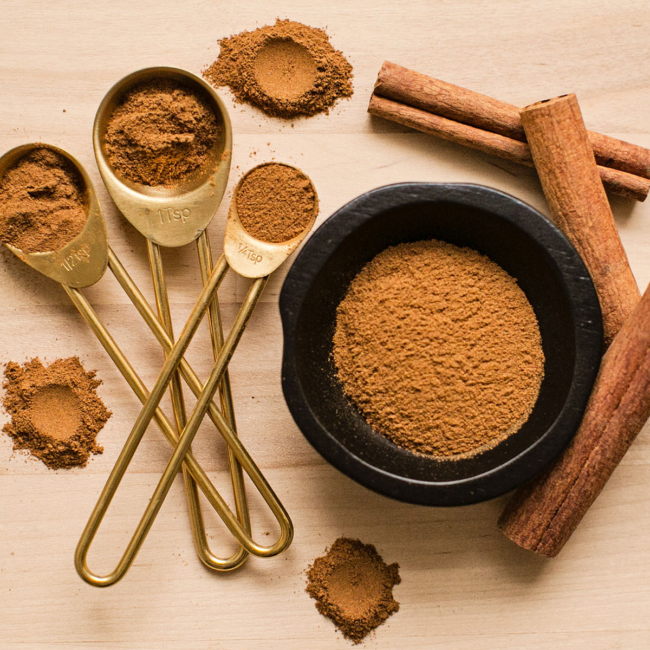 This is the perfect blend of the best cinnamon and ground cloves. Staples for crumbles and fruit pies, this can also be sprinkled on yogurt, oatmeal or any hot breakfast. You can also use this to spice up pancakes, waffles or french toast. And for the classic cinnamon/ sugar blend, just mix a tablespoon of this with 1/2 a cup of sugar and you have the perfect sugary additive for cold cereals, toast or anything else you can crave. 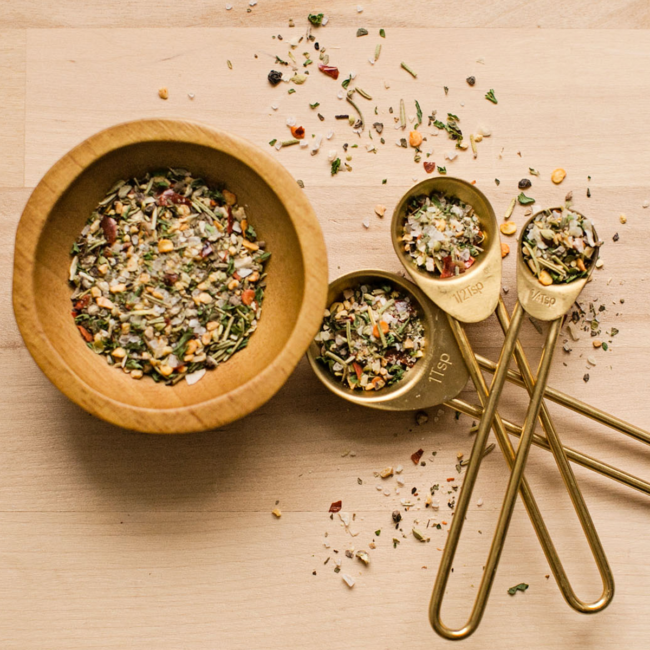 2.8 oz glass jar with shaker (1/2 cup of blend). 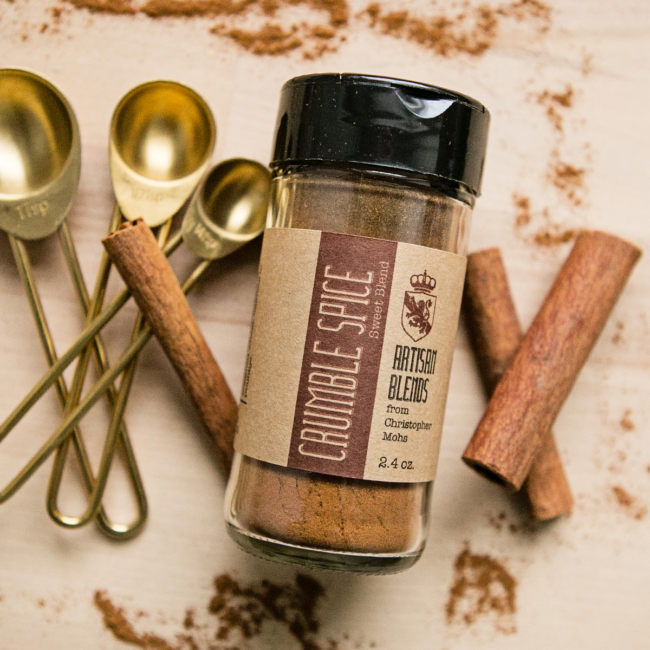 Crumble Spice is hand-blended from Ground Saigon Cinnamon and Ground Cloves. NOTE: These products are homemade and not subject to state inspection.